Think of this as a ‘Wind Farm 101’ to get you up to speed on the windy giants that are popping up all over the Australian landscape – and the world. Denmark is now more than 40 per cent wind powered, Norway has just announced a US$1.2 billion onshore wind project and Uruguay has gone from producing almost no wind energy less than a decade ago to generating nearly 95 per cent of its electricity from clean energy sources. Australia has an abundance of wind, and wind farms are a viable renewable energy source for the future. Wind power is energy that’s generated by harnessing the power of the wind through wind turbines. It’s a great alternative to burning fossil fuels (like coal), because wind is clean, doesn’t produce greenhouse gas emissions and there’s lots of it. At present, it’s the cheapest large-scale renewable energy source (Clean Energy Council). Wind turbines are around 120 metres tall with blades that span around 45 metres. Their height lets the turbines capture stronger winds, but they can start generating electricity in light breezes (around 14 km/hour), reaching full output in winds of around 57 km/hour (Meridian Energy Australia). Wind flows over the blades like air flowing over an aeroplane wing. This flow of air causes a different in air pressure between the top and bottom of the blade, moving the blade and making the central rotor spin. The rotor drives a generator that produces energy to export to the grid. At full capacity, one wind turbine can generate 48 megawatt hours (MWh) of energy per day. 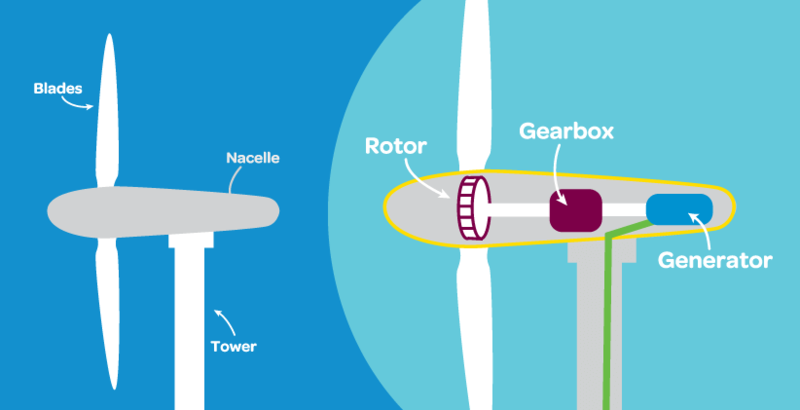 Turbines can orient themselves to keep facing into the wind by rotating the nacelle. Wind farms are simply areas of land dedicated to generating energy, where groups of individual wind turbines are connected to the electricity grid. The land between the turbines is sometimes used for agricultural purposes too. A large-scale wind farm might entail hundreds of wind turbines over a space of hundreds of square kilometres. To give you an idea of just how big wind farms can be, Gansu Wind Farm in China, produced about 6,000 MW of power in 2012 from more than 3,500 individual wind turbines. Australian wind farms produced more than 30 per cent of the country’s clean energy in 2014 and wind power made up 4.2 per cent of Australia’s total electricity during the year (Clean Energy Council). Our national Renewable Energy Target (‘RET’) provides an incentive to build low-cost renewable energy projects, which means, given that wind power is currently the cheapest source of large-scale renewable energy, it’s likely wind power will be the leading renewable energy technology supported by the RET in Australia over the next decade (Clean Energy Council). We’re backed by a 100 per cent renewable energy company Meridian Energy, which operates two wind farms in Australia. 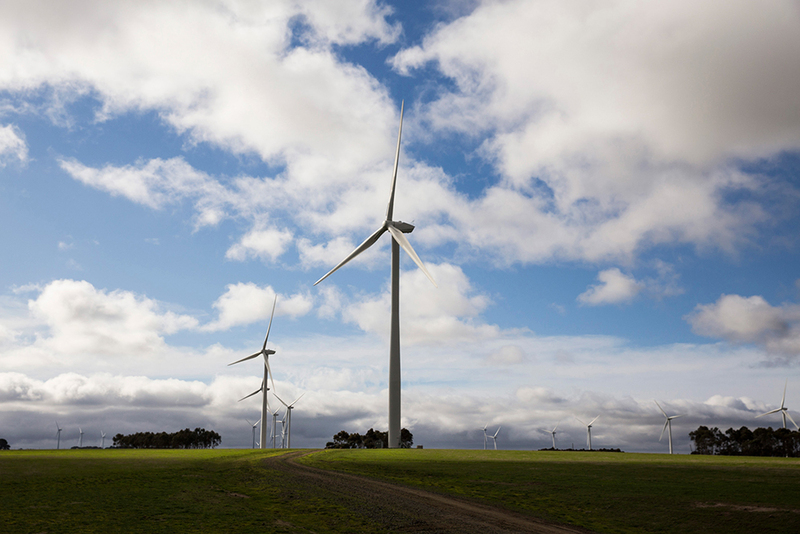 Our most recent project is the 64-turbine Mt Mercer Wind Farm just outside of Ballarat, which produces enough energy to power the entire Ballarat population – that’s around 80,000 households. We also operate the 35-turbine Mt Millar Wind Farm in South Australia. Our Mt Millar farm is positioned on an escarpment on an elongated site (about 7 kilometres long), which maximises the turbines’ exposure to the wind. Mt Millar can generate up to 70 MW of electricity – enough to power around 36,000 households. Mt Mercer and Mt Millar wind farms produce more renewable energy than the total energy used by all of Powershops’ customers. By choosing Powershop as your electricity retailer, your money is going to a company that only invests in renewable energy. If you’d like to find out more about Powershop’s wind farms, or if you’re interested in taking a wind farm tour, email info@powershop.com.au and we’ll be in touch. 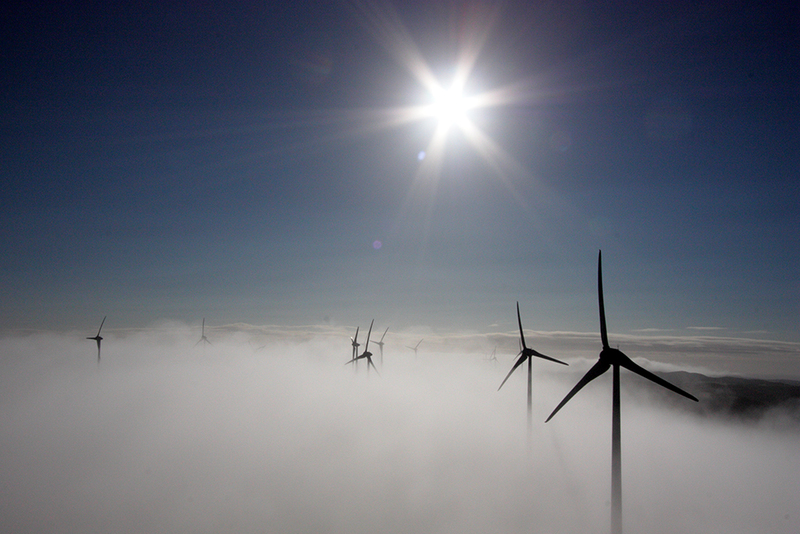 2 comments on "Wind Energy 101: How Wind Farms Generate Electricity"